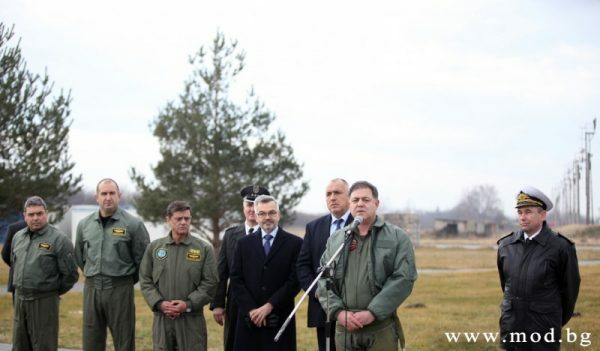 Bulgarian prosecutors have lodged criminal charges against Defence Minister Nikolai Nenchev in connection with his conduct in concluding a deal for the overhaul of the Air Force’s MiG-29 jet fighters. Nenchev is not charged in connection with concluding a deal for Poland to maintain the engines of the Russian-made military aircraft, but in relation to his handling of the switching of the contract from Russia to Poland. Prosecutors allege that in spite of the availability of an effective contract with Russia’s RSK-MiG to deal with the engines, Nenchev started negotiations with Poland, during which time a risk was created to Bulgaria’s aviation safety because the MiGs were left without the necessary support. It is further alleged that during this interim period, the flying hours of Bulgarian Air Force pilots were substantially decreased, from the Nato standard of 180 hours to 33 hours a year. Nenchev was summoned to the Prosecutor’s Office at 10am on November 23. The Defence Minister, part of the Boiko Borissov Cabinet that resigned after the defeat of Borissov’s party’s candidate in the November presidential elections at the hands of former Air Force chief Roumen Radev, was accompanied by his lawyer, Radan Kanev, an opposition MP formerly with the Reformist Bloc of which Nenchev is a member. An archive photo shows Roumen Radev, second left, then chief of the Air Force and now Bulgaria’s president-elect, with Defence Minister Nikolai Nenchev (at the microphone) and Prime Minister Boiko Borissov, behind Nenchev. Photo: Bulgarian Ministry of Defence. A further charge against Nenchev is that through the non-fulfilment of the contract with RSK-MiG, he had deprived the Russian company of just more than 3 770 000 euro. The deal with Poland was approved by the Cabinet in October 2015 and ratified by Bulgaria’s Parliament in November 2015. Nenchev and the government insisted that it was financially advantageous for Bulgaria, with better terms than the expired contract with the Russians. Nenchev, right, at the 2015 signing of the deal with Poland on the overhaul of the MiG-29 engines. Photo: Bulgaria Ministry of Defence. Nenchev, who was at the Prosecutor’s Office for just less than an hour, was released on condition that he regularly signs a register. Kanev said that the prosecutors had not provided them with the materials related to the investigation. Nenchev is the second Cabinet minister from the Reformist Bloc minority component of Borissov’s government to be charged within a week. Earlier, Health Minister Petar Moskov was charged in connnection with a deal to bring in vaccines from Turkey. Prosecutors are questioning all members of the Borissov Cabinet in connection with the Moskov deal. On November 23, among those due to be questioned was Borissov himself.